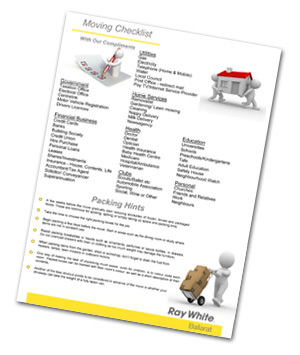 The following check lists has been prepared as a guide to assist in the presentation of your property and then to help make sure you have everything for when the big day of moving comes along. We have also included a moving list, this is a checklist to remind you of all of the people and businesses that need to be contacted when you are on the move. There are also some tips for the preparation for packing.